I’m waffling | Sew Giddy!! So, I am making a baby blanket! 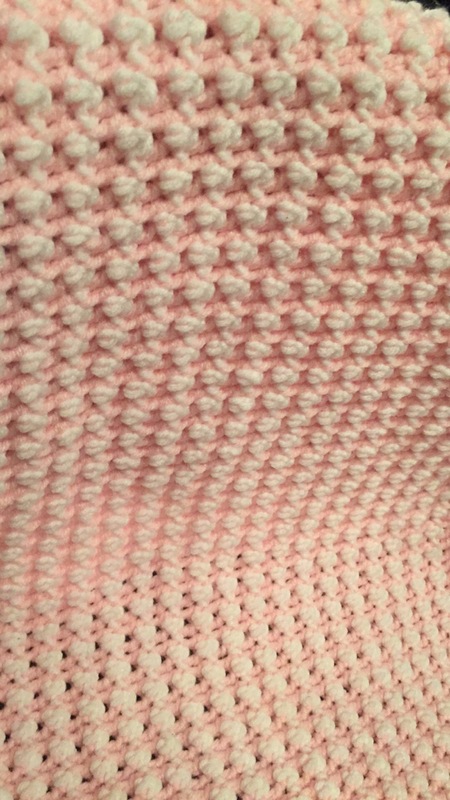 I am crocheting an easy pattern, but moving much slower than I’d like because the colors change every single row! Ugh. I admit, I feel a little guilty starting on something new when I have a project waiting to be completed, but so far I am really happy with this baby blanket. I know I should stick to a single project at a time but I suppose I’d rather waffle over projects than have no projects at all! What projects have you waffled over lately? ← I Say, Today It’s Filet Crochet! Thank you. It’s slow and go, but so far I’m pretty happy with how it’s turning out. Thanks for stopping by! !